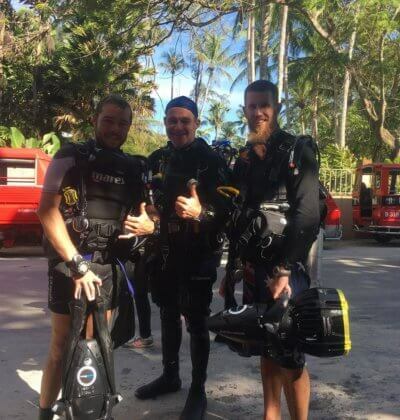 This is our second IDC package and is extremely popular with anyone who is seriously thinking about working in the diving industry because of the specialty instructor training that is included in the package price. The more training you have and the more specialties you can teach, the more valuable you become to dive operations, shops, liveaboards and dive center’s. We also don’t force you into doing specialty instructor training that won’t benefit you or that you don’t enjoy, we have a large selection of specialties that you can choose from, they are listed below. Technically you will get seven instructor specialties because we throw in Nitrox & Oxygen Provider specialties free with every IDC package! The best thing about doing your specialty instructor training is actually the diving, if you didn’t get a chance to dive before your IDC, this is your best opportunity because it’s included in the Gold Package price! Stay with Aussie and get 12 Days Free accommodation when you sign up to one of our monthly PADI Instructor Development Courses here in Phuket. That saves you around 12,000 THB (400 AUD), that's pretty good value! That's about 19,000 THB (600 AUD) worth of extra diving thrown in, if you turn up before your IDC prep dates! To make it easy for you to see the value you are getting in the Gold IDC Package, please see the green box in the honest pricing section below where you can see the real world value of all the free stuff you get if you book with us. Book This IDC Package Today! i Valid PADI Crew Pack with hologram can be purchased through Aussie Divers or elsewhere before the IDC. You may not begin an IDC without a valid PADI Crew Pack! i If you have a PADI EFR Instructor Manual you may use it during your IDC, if you do not you will need to purchase one during the IDC. i 5 Days of free diving, this offer is only valid before the starting of your IDC, it will not be counted toward specialty instruction or fun diving after graduation. i 12 Days free accommodation at our very own hotel above our Chalong dive shop. i PADI Specialty instructor fee of 94$ is NOT included. The listing price is for the specialty instructor training only. You certify yourself with PADI when your are ready. * PADI Specialty instructor fee of 94$ is NOT included. What Are my PADI Fee’s? If you wish to be a valid, teaching status, (OWSI) PADI Open Water Scuba Diving Instructor you will be required to pay the following fee’s directly to PADI. Aussie Divers Phuket have no control over these fee’s and none of them are optional, you pay them to PADI during your IDC. i Required fee that goes directly to PADI to begin any IDC, no matter what part of the world you are in or what shop your are doing your IDC with you will pay this fee! 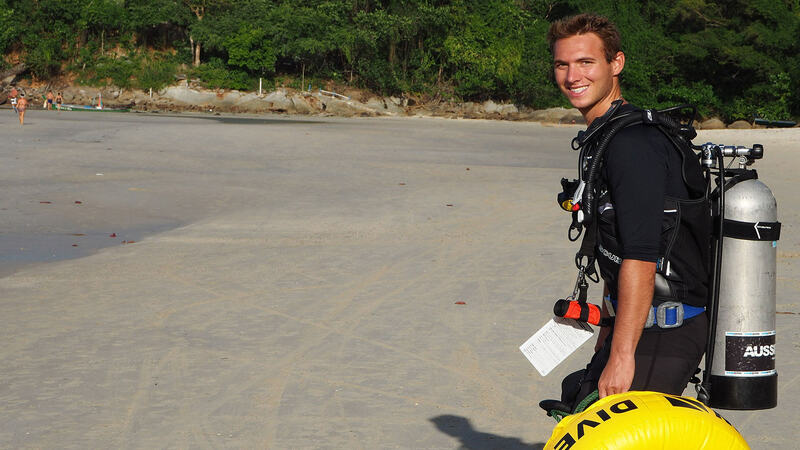 i You must be a qualified EFR instructor if you wish to teach PADI courses as a PADI instructor. i To become a PADI instructor you must attend an Instructor Examination (IE), if you wish to become an instructor you must pay this fee to PADI before attending your IE. i If you wish to be upgrade your instructor certification to 'Master Scuba Diver Trainer' you will need to pay this fee directly to PADI after you complete your 5 instructor specialties. We provide this calculator for your benefit so that you know approximately the cost of certifying as an Instructor with PADI. Fee’s are subject to change without notice. Please be aware that the fee’s are listed in Australian Dollars, but depending on where you live and where you intend to teach they can be slightly different. 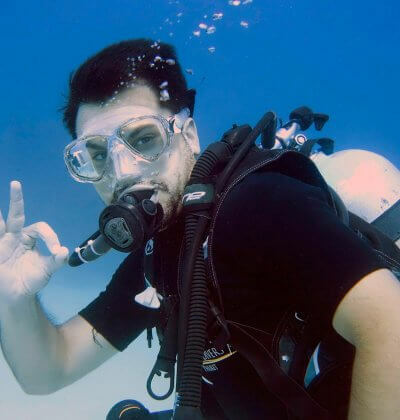 Each time you certify in a given PADI instructor Specialty, you will pay PADI a one time processing fee, of 98$. This fee is non-negotiable if you wish to teach that specialty as a PADI instructor. 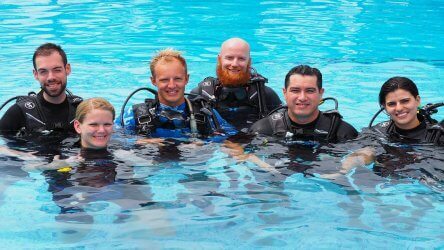 This fee will be charged upon completion of the specialty training, usually this happens after you have graduated as an instructor and begun your specialty training to become a PADI Master Scuba Diver Trainer (MSDT). 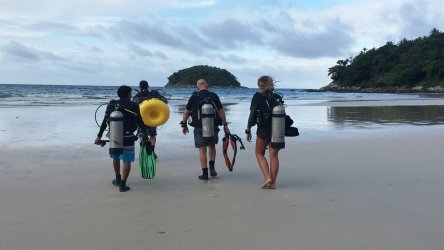 Let's be clear, becoming a PADI scuba diving instructor costs money, you need to pay for your training over the course of your IDC, you need to pay PADI to register as an instructor and there are materials such as the PADI Crew Pack that you are 100% required to have to even begin your IDC training. Some dive center's will not tell you about this until you arrive. It is their way of making an IDC look cheaper than it really is. Please check the final price before signing up with any dive centre. This is to include course tuition, accommodation, boat fees, PADI Fees, IE Fees and the like. Simply check the facts the true facts are above, we have listed ALL shop, materials & PADI fee's that are required to become a valid PADI Scuba Diving Instructor, if you are looking elsewhere at cheaper IDC's please be aware that you will pay the fee's and require the materials listed above regardless of if you knew about them or not. At Aussie Divers we want you to dive and learn with piece of mind, we are Phuket's busiest Five Star Instructor Development Center and you will not be charged any hidden fees whether they are from us or PADI. We want you to focus entirely on your training while having a good time here in Phuket. There is even more free stuff in our Gold package, please see below for a full list of extra benefits, services and training for the Pro Gold IDC Package with Aussie Divers Phuket. Don’t forget that you get all of the following included with any IDC package deal booked with Aussie Divers Phuket at no extra cost. PADI IE pass assurance, we have a 100% pass rate! Aussie Divers and one of the PADI Course Director will be with you during the PADI IE, we will organize the logistic for you. 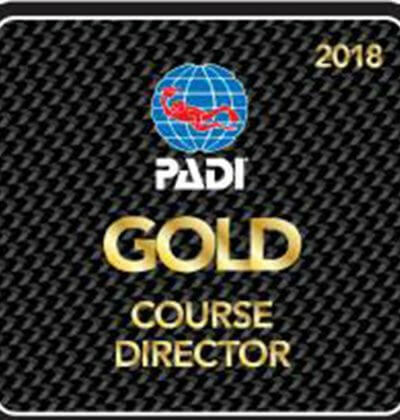 The Pro Gold IDC Package is your ticket to success as a PADI (OWSI) Open Water Scuba Instructor, get the right training and become a sought after diving professional!